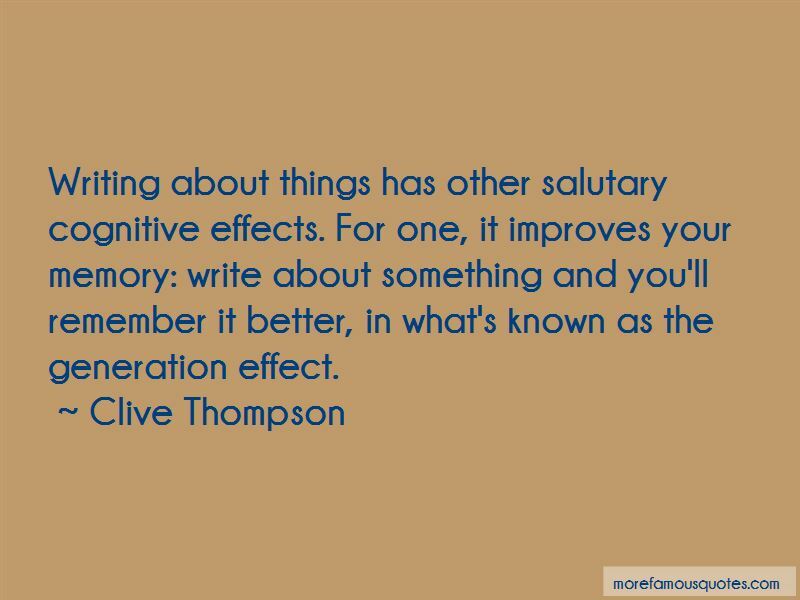 Enjoy the top 53 famous quotes, sayings and quotations by Clive Thompson. Professional writers have long described the way that the act of writing forces them to distill their vague notions into clear ideas. By putting half-formed thoughts on the page, we externalize them and are able to evaluate them much more objectively. This is why writers often find that it's only when they start writing that they figure out what they want to say. I don't think the Internet has replaced cities in any significant way, nor really could it. Cities are dynamic - and deeply seductive for the people who flock there - because they broker all sorts of fantastic and useful connections, cultural and economic and social. No consumer product improves more drastically, year after year, than the computer. I lust after iPods or Mini Coopers not because they're unique, but because they've been so artfully made that I couldn't imagine doing it better myself. 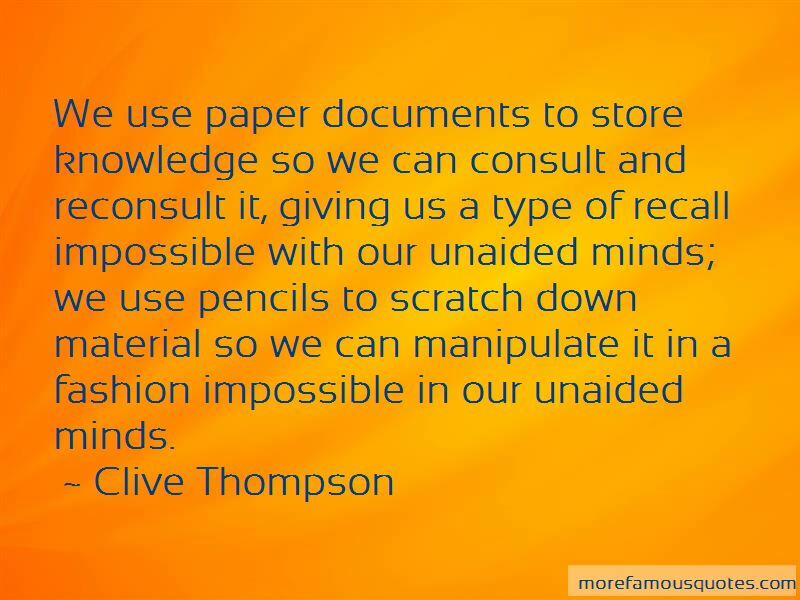 We use paper documents to store knowledge so we can consult and reconsult it, giving us a type of recall impossible with our unaided minds; we use pencils to scratch down material so we can manipulate it in a fashion impossible in our unaided minds. The people who tend to get the most out of being social thinkers are the people who themselves are helpful. They're always talking or answering people's questions or engaging in productive conversations. They're not being trolls. They're tamping down other people that are being trolls. Novelists in particular love to rhapsodize about the glory of the solitary mind; this is natural, because their job requires them to sit in a room by themselves for years on end. But for most of the rest of us, we think and remember socially. 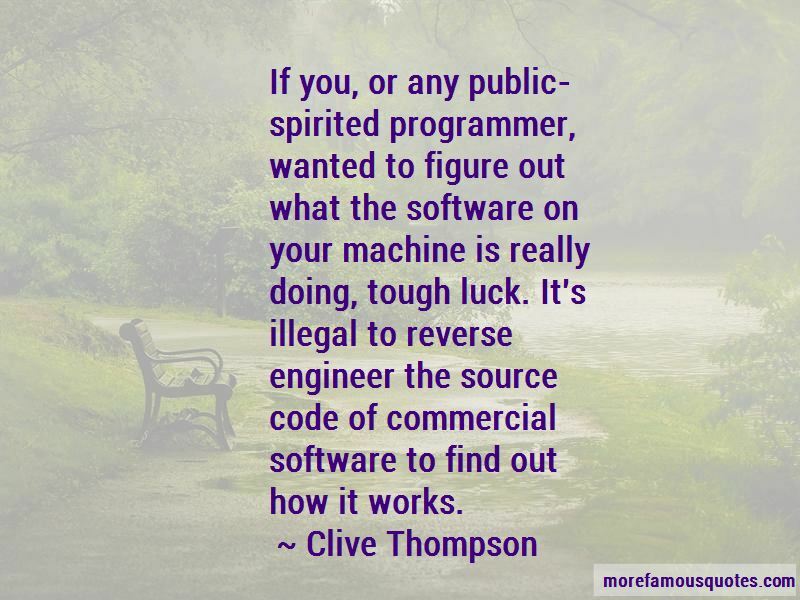 Want to see more pictures of Clive Thompson quotes? 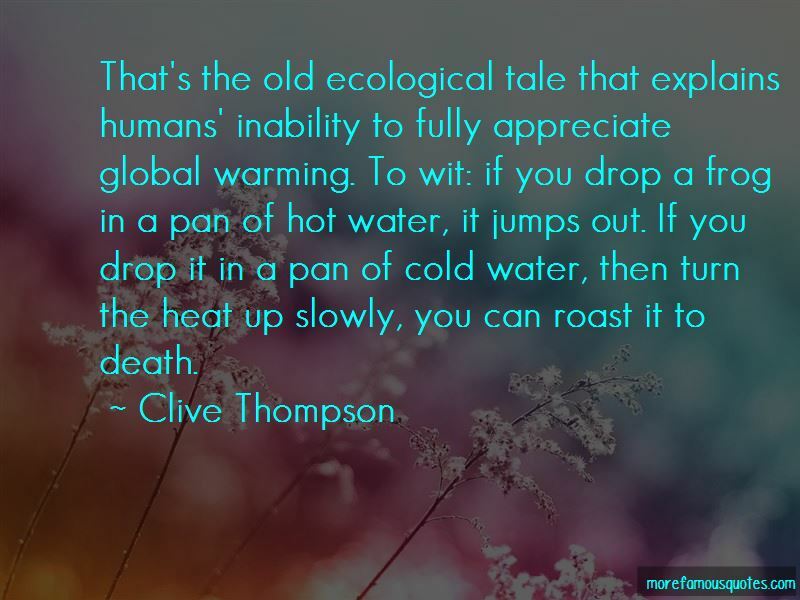 Click on image of Clive Thompson quotes to view full size.